Please let us know what you think about our web site and how we can improve it to make it more useful to you. E-Mail us about your Bird or Bee control problem, or even send us a picture of your problem, ( PDF format best) . Need help with a bird problem in a plane hangar, or Hi rise office building ? In Arizona you can contact us at 602-942-6550 or 480-969-2337 to see about scheduling an inspection of your property and see how we can help you stop all the noise and mess as well as protecting you, your family, employees and customers from possible slip & fall dangers or health hazards associated with pest birds that are roosting or nesting in and around your home or business. Got a bird control problem outside of our service area, we can put you in touch with companies in your area through our nationwide network of bird control specialists. Pigeon & Bird Control or Bee Removal services in: Anthem, Avondale, Ahwatukee, Chandler, Mesa, Tempe, Glendale, Phoenix, Scottsdale, Paradise Valley, Peoria, Gilbert, Surprise, Sun City, Sun City Grand, Litchfield Park, Tolleson, Cave Creek, Queen Creek, El Mirage, Youngtown, Sun City West, Buckeye, Guadalupe, Fountain Hills, Carefree. 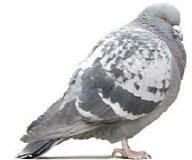 In Tucson, Casa Grande, Kingman, Flagstaff and Las Vegas Nevada commercial structural bird control projects only.